In The Purge: Election Year, Sergeant Leo Barnes (Frank Grillo) returns for the third installment of the horror-action franchise about a world where one night a year all crime, including murder, is legal. Tasked with protecting an upstart politician (Elizabeth Mitchell) who wants to end The Purge for good, Barnes must keep her alive if her policies are ever to come to fruition. For the third night of this franchise, The Purge: Election Year blends new and familiar to create an uneven concoction. Writer, director, and overall mastermind of the series, James DeMonaco, sits at the helm once again, but one can’t wonder if even he is wishing this franchise will end soon on the highest note possible before falling into farce like so many other series—this is particularly notable considering the protagonists of the story are in essence trying to halt what would be the likely topic of future installments. A Threequel? Really? Trailer: The Purge: Election Year! Remember that nifty little horror movie The Purge? The one that was followed by the mostly adequate (but not really great shakes) sequel The Purge: Anarchy? Well, in case you missed the first trailer for it, the sequel made enough money to spawn a threequel – The Purge Election Year. Basically, there’s a senator who wants to abolish the Purge – and whole lot of bloodthirsty manics who don’t want her to do that. Check out the new trailer after the jump. The Purge: Election Year opens on July 1st. Dead of Summer Kicks Off Freeform’s Summer! The summer camp from Hell awaits the unsuspecting when Freeform’s Dead of Summer premieres on Tuesday, June 28th. Set in the late 1980s, school is out for the summer, and a sun-drenched season of firsts beckons the counselors at Camp Stillwater, a seemingly idyllic Midwestern summer camp, including first loves, first kisses—and first kills. Stillwater’s dark, ancient mythology awakens, and what was supposed to be a summer of fun soon turns into one of unforgettable scares and evil at every turn. For a brief synopsis of Dead of Summer’s premiere, Patience, follow the jump. Dead of Summer Begins Production! Freeform’s Dead of Summer – the story of a summer at the seemingly idyllic Camp Stillwater – begins production today in Vancouver, B.C. Dead of Summer stars Elizabeth Mitchell, Elizabeth Lail and Mark Indelicato and premieres later this year. 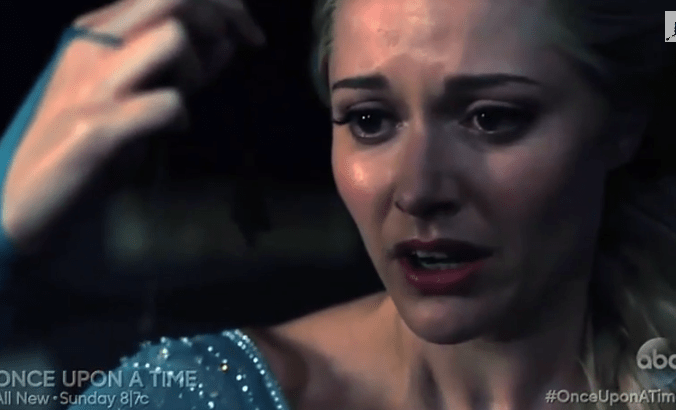 Once Upon a Time Frozen Faves Join Dead of Summer! Once Upon a Time’s Anna and Ingrid are becoming camp counselors as Elizabeth Mitchell and Elizabeth Lail join Freeform’s Dead of Summer. Production on Dead of Summer begins in March. For more, follow the jump. Regina’s back! Regina’s back! Finally we get more than a minute of our favorite former Mayor. “Breaking Glass” proves to be the turning point for Regina and Emma’s relationship, gives us a glimpse into Emma’s teen years and in true Once Upon a Time fashion we end up having more questions than answers. 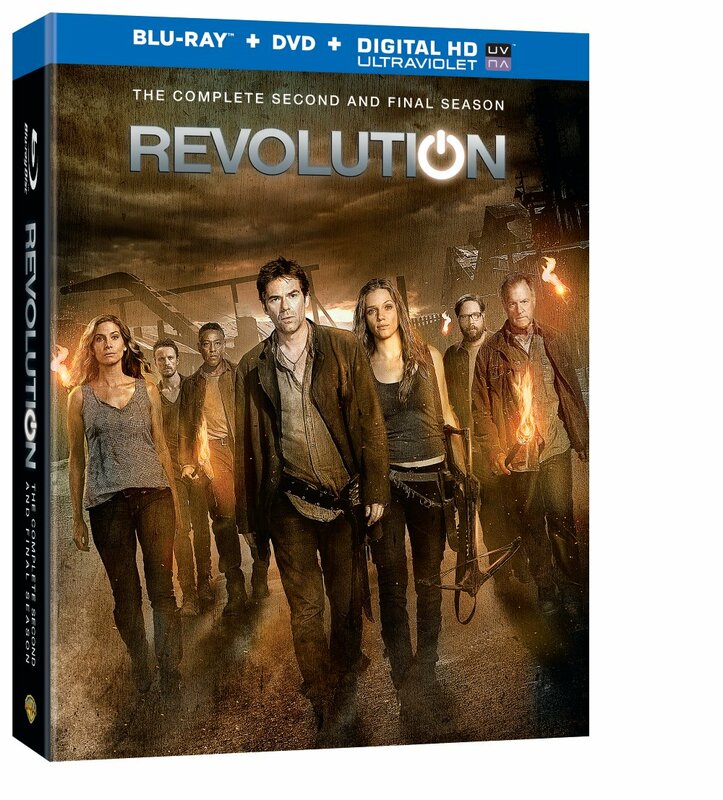 Revolution: The Complete Second and Final Season – Machiavellian Mayhem & Nanotechnology! While many (including me) were reveling in the bat$#! craziness of Sleepy Hollow and The Blacklist, at least as many (again including me) missed out on the degree over directed insanity on the second season of Revolution, which bled a lot of viewers between seasons. V: Is Red Rain Too Little, Too Late? After what seems like eons, V [ABC, Tuesdays, 9/8C] returns with Red Rain, an action packed episode of the sort that should have been run when the series premiered, last season. Reaper Star Joins V In Recurring Role! In a second season that’s already introducing Jane Badler as Anna’s mother, V has gone deeper into the cult hit pocket to enlist Bret Harrison, star of cult favorite Reaper, to play the recurring role of Dr. Sidney Miller. Miller is an evolutionary biologist whom the fifth Column, led by Erica Evans [series star Elizabeth Mitchell], seeks out because he may know something about the Red Sky which was seen in the closing moments of the show’s season one finale cliffhanger. TELEVISION REVIEW: V – Welcome to the War: Is It Getting Intense in Here or Is It Just Me? It’s been a while since we saw an original episode of V and, after a better-than-average clip show to bring us up to date, the series returns this evening [ABC, 10/9C]. Welcome to the War picks up with a number of plot threads that were left dangling off the proverbial cliff way back before the Winter Olympics – and resolves them in manners both expected and… not so much.